PPAF is excited to announce a new partnership with PromoHunt. This new member benefit will enhance distributors use of the PPAF Coupon Book. PromoHunt is a free browser extension that automatically displays helpful information when distributors visit supplier websites. PPAF will be hosting a special webinar featuring PromoHunt on May 9, at 12:30pmEST. The webinar will go over how PromoHunt can help distributors save time and money every day. Pop in for GCPPA and PPAF's co-opted event for an evening of drinks and hor'dourves in a micro trade show format. Distributor attendees will be able to meet with Promotional Products Exhibitors in a casual evening event featuring hundreds of products and dozens of product lines. Registration includes 2 drink tickets and appetizers. Early bird registration is $20/PPAF member and $30/Non-member. Registration after May 10 is $40. If you are supplier or multi-line rep and would like to exhibit, please click here. 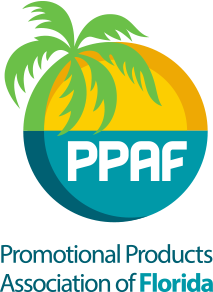 PPAF Expo is known as the premiere event in Florida for distributors. We are excited that the 2019 PPAF Expo will return to the beautiful Orlando World Center Marriott! Distributors will be able to register in the coming weeks. Exhibitors are encouraged to register now for best booth choices! Jenny Taylor, Executive Director at jenny@ppaf.com or 813.204.9089. July 27, 2016 WEBINAR Wednesday: Double Your Income This Year! August 20, 2014 So you think you want to import directly from China? It's not that simple.